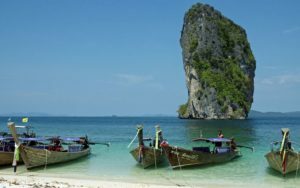 Thailand, with many job offerings on Jetsetter Jobs (JSJ), has many gorgeous beaches that are a must-visit when you’re in Asia. 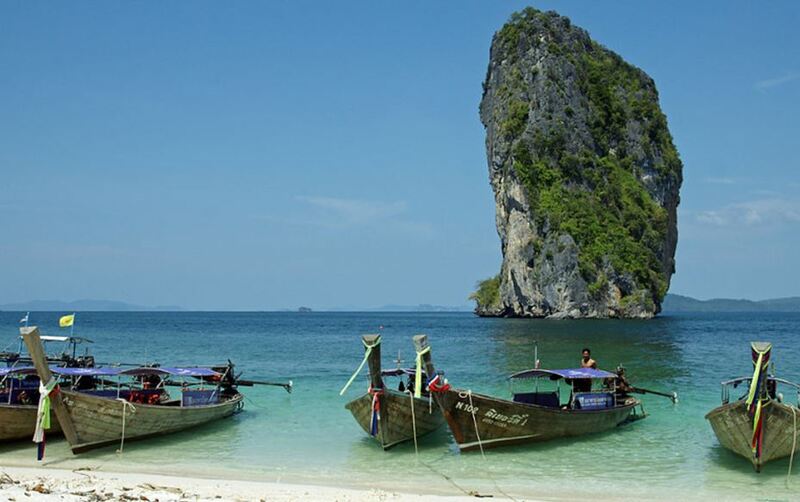 Railay Beach – Accessible via boat there is a large peninsula between the city of Krabi and Ao Nang. Some parts of Railay are very touristy with luxurious resorts. If you’re adventurous enough you’ll find that this location is underrated, with tons of playroom, and gorgeous scenery everywhere you look. Embrace your backpacking spirit, this location is heaven for backpackers. In Tonsai beach you will find interesting activities like cliff climbing and jumping (only way down is to jump), snorkeling, and trekking. Find a guide and make it happen! Ko Poda is another location with amazing views and cliff diving opportunities that all should experience! Well known for having crystal clear waters, Ko Poda is predicted to grow its tourist population in the future (so take advantage now!). Phi Phi Islands is known for being the setting of the film “The Beach”, but it is also known for having some of the best night life in Thailand. The bars will stay open as long as they have customers and beach is magnificent under the moon light. Jetsetter Jobs (JSJ) is not just a platform to find worldwide jobs, it’s also a source of information catering to all your travel needs. JSJ provides daring locations to visit, and potentially providing you amazing content for your business, personal brand, and overall joy. I'm John and I like to create stuff.